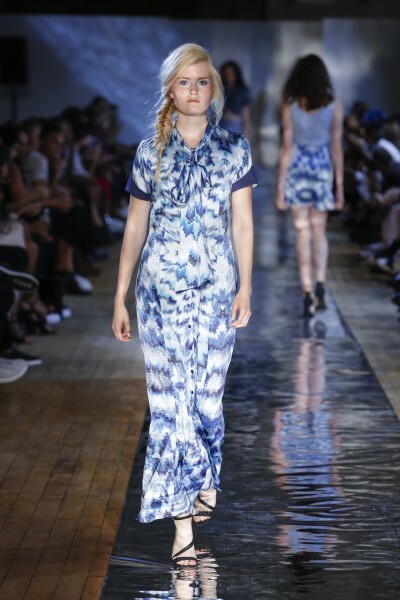 Iayla Ane’s Spring 2017 collection was clearly influenced by the sea with its blue, purple, coral and black hues. 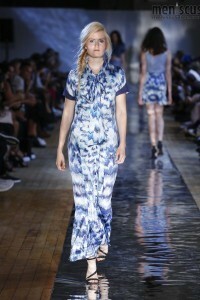 Models – some styled with intricate fish-tail braids – strutted down a reflective runway reminiscent of the sea in flowing dresses of various lengths, shorts, blouses, skirts and a lone pair of pants. What appeared to be prints of fish scales and flowing water saved the otherwise uninspiring cuts of most of these pieces. 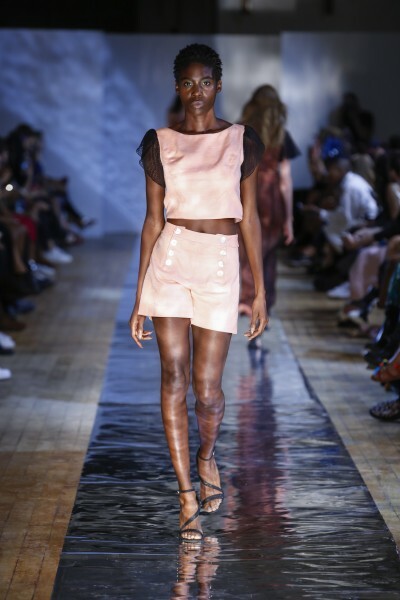 A coral lace square cut dress and a navy bustier paired with a matching three-quarter length skirt were outliers in an otherwise blah collection. 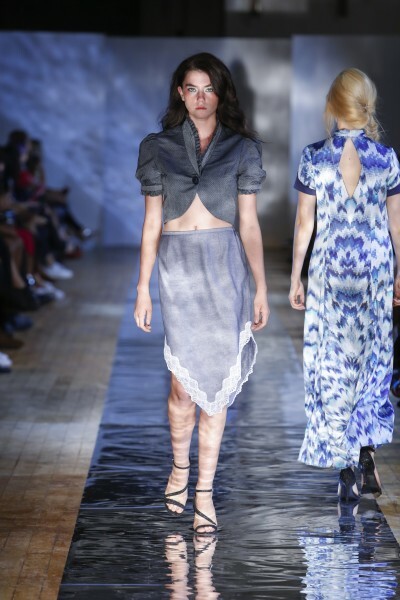 Odd pieces included a coral bustier paired with a gray skirt with a pinafore peeking out from underneath, and pixelated tie-dye like dresses and skirts in shades of blue and purple. The denim-hued sweetheart-neckline dress had no business appearing on the runway either. If Ane wants to capture her audience’s heart with a siren song, she should expand on her prints with less yawn-worthy cuts.